This December, the world you know is gone… Welcome to the Stalinverse, comrade! 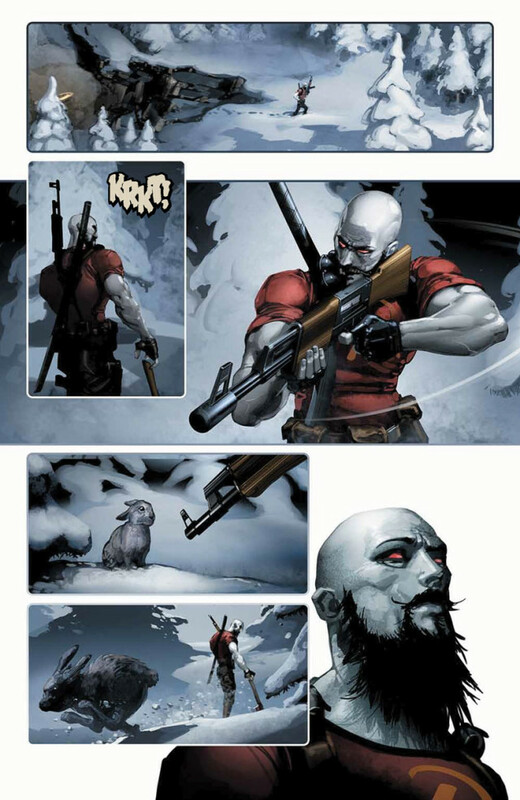 Valiant is proud to present an advance preview of DIVINITY III: KOMANDAR BLOODSHOT #1 – the first of four essential, one-shot specials chronicling the history behind the brave new world that has reordered the Valiant Universe as we know it in the pages of DIVINITY III: STALINVERSE! 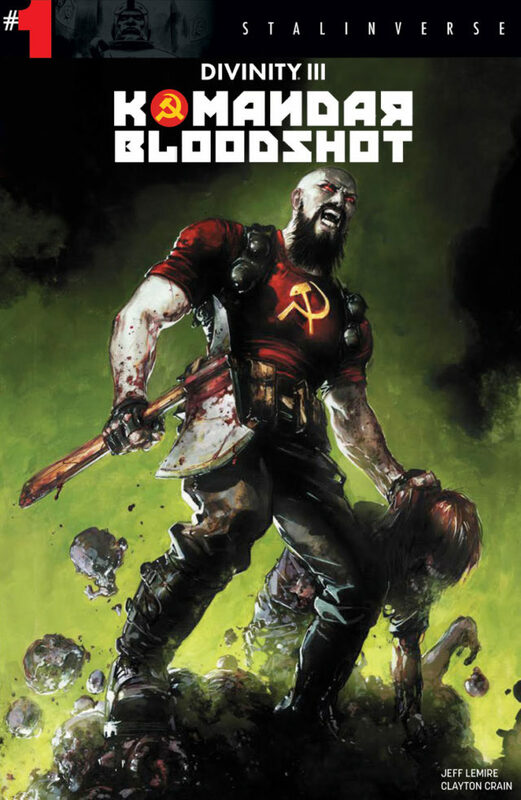 On December 28th, find out how Valiant’s blood-stained icon marched to the forefront of the global Soviet war machine as New York Times best-selling writer Jeff Lemire (BLOODSHOT REBORN, Death of X) and superstar artist Clayton Crain (4001 A.D.) re-assign the KGB’s deadliest covert operative from Mother Russia to the mountains of Colorado to eliminate a freedom-fighting terror cell charged with spreading the infection of American patriotism! 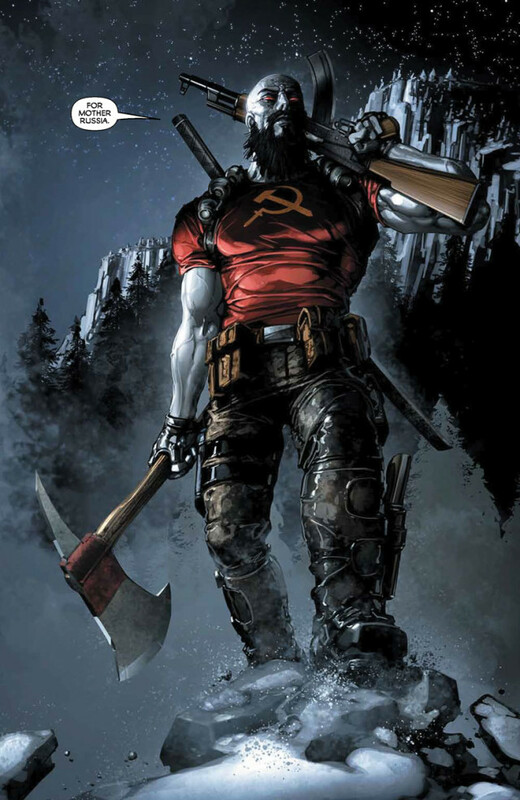 On December 28th, be there as Jeff Lemire and Clayton Crain lead Komandar Bloodshot out of DIVINITY III: STALINVERSE #1 (of 4) and into a gut-wrenching mission in the middle of the American heartland. 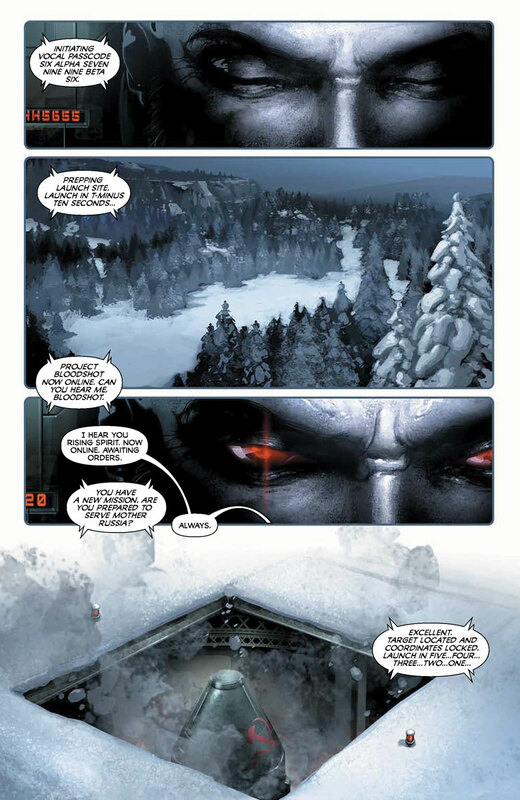 Valiant’s first reality-shattering event explodes outward as the Stalinverse transforms its greatest heroes into agents of the Iron Curtain, only in DIVINTY III: KOMANDAR BLOODSHOT #1 – featuring covers by Clayton Crain (Carnage), Ryan Bodenheim (The Dying & The Dead), Greg Smallwood (Moon Knight), Trevor Hairsine (DIVINITY III: STALINVERSE) and Kano (Daredevil)! Plus: The fight to overthrow the CCCP’s worldwide Communist regime begins in DIVINITY III: STALINVERSE #1! 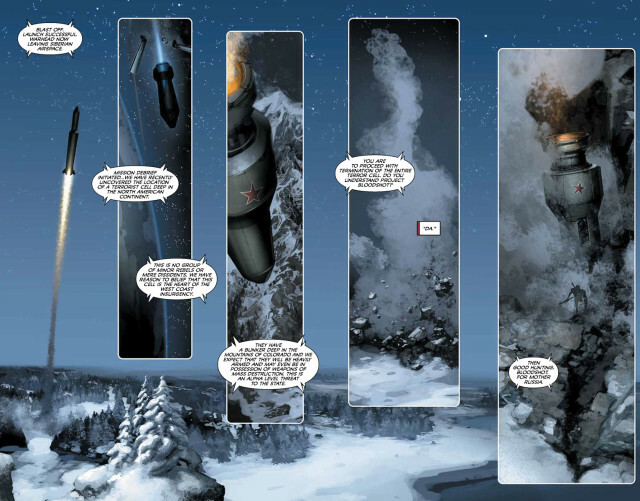 On December 21st, Valiant’s seven-time Harvey Award-nominated sci-fi epic expands to a startling new scale as New York Times best-selling writer Matt Kindt (4001 A.D.), artist Trevor Hairsine (X-Men: Deadly Genesis), inker Ryan Winn (X-O MANOWAR), and colorist David Baron (BLOODSHOT REBORN) forge a new world in the image of god-like cosmonaut Abram Adams and unleash a disturbing new vision… One where a worldwide Soviet empire now rules a world order… The Iron Curtain extends across continents, shattering governments and armies in its wake… And the communist global super-state rules not only with an iron fist, but with powers far beyond the comprehension of mortal men. 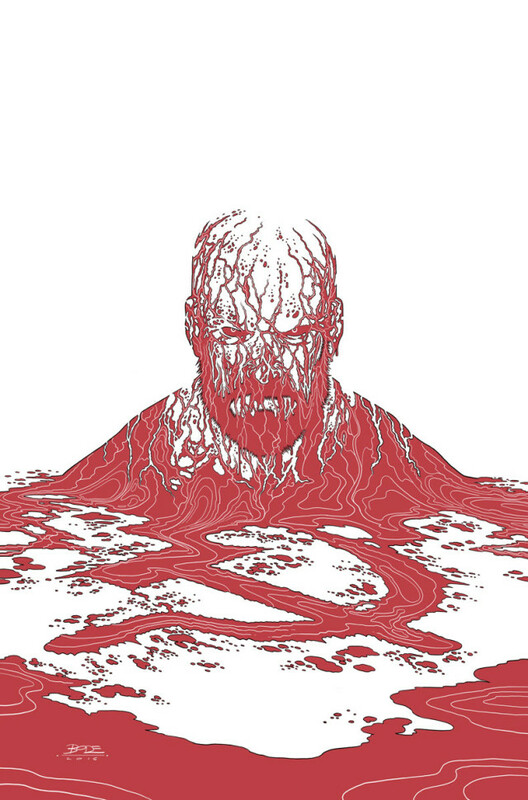 Not a dream… Not an alternate reality… This is the Valiant Universe of today, and the Stalinverse’s subversive spread continues in DIVINITY III: ARIC, SON OF THE REVOLUTION #1 on January 18th! 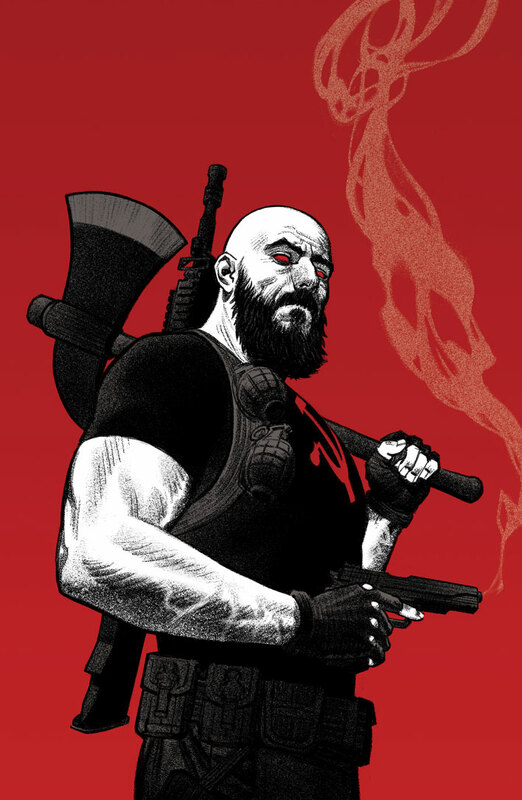 In the wake of DIVINITY III: KOMANDAR BLOODSHOT #1, join acclaimed writer Joe Harris (Snowfall, The X-Files: Season 10) and Valiant-exclusive superstar David Lafuente (Ultimate Spider-Man) as they reveal what happens when Valiant’s leading legend – the unstoppable X-O Manowar – becomes the supreme fighting force of the CCCP in the next must-read one-shot torn from the past and present of the Stalinverse!